The Township was founded in 1754 as an agricultural based community located between the Bushkill Creek and the Delaware River north of the City of Easton. 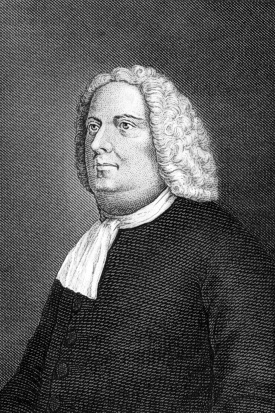 The area comprising Forks Township had been inhabited by Native Americans and then by early Dutch travelers who started trade during the early 1600s. Prior to the infamous Walking Purchase of 1737, the Lenni-Lenape Indians were the principal inhabitants of the area. This fact is evident in part by the abundance of American Indian artifacts that have been found in the Forks Township area over the years, particularly along the Bushkill Creek, the Delaware River and the areas of Tatamy, Stockertown and Hob Nob Hill. Following Indian trails, rivers and creeks, early immigrants came to the fertile Lehigh Valley in the early 1700s. Permanent colonial settlement began in the late 1730s in the northern portions of the Township due, in part, to its proximity to the Scotch Irish settlement, called Hunter's Settlement, in Lower Mount Bethel Township. By 1740 permanent settlers were coming into the Forks area, and Northampton County was created from Bucks County in 1752. Many taverns, inns and hotels developed in the Township due, in part, to the important roads that crossed through this area including Route 611. These early uses encouraged the development of small hamlets throughout much of the 18th and 19th centuries. These early developments, along with the easily cultivated and irrigated farmland comprised primarily of silt loams underlain by limestone, enabled the Township to develop a prosperous agricultural industry. 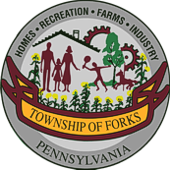 Forks Township became valued politically and economically as part of a ring of non-Moravian agricultural lands which provided necessary farm goods and trade items to the region, and by 1857, the dairy industry in the Township was established. In the late 19th century, there was an increased demand in the region for perishable farm goods such as milk, eggs, cheese and various produce. The agricultural wealth of Forks Township became part of the crucial capital foundation of the Lehigh Valley upon which the Industrial Revolution would build. Although primarily agriculturally based, Forks Township also had a substantial amount of industry including blacksmith shops, lime kilns, distilleries, wheel-wright shops, a cooper, brickyards and several mills. The mills were primarily located along the Bushkill Creek with some along the Delaware River. From the mills, products were transported along the rivers to nearby towns where they were assembled and shipped to major commerce centers. On the mid 1800s, the Industrial Revolution began to encourage the relocation of residents from the farm to the urban centers with the promise of higher wages and ready employment. This promise tended to decrease the total number of active farms in rural areas and either increased the number of non-agricultural uses or increased the size of the individual farms. Furthermore, as traffic increased, many small hamlets developed at the intersection of Kesslersville and Uhler Roads. In the early 20th century, rural townships such as Forks, noticed a dramatic decrease in the importance of farming as a livelihood, due, in part, to decreased profits and increased production costs. As early as the 1960s, farmers began to realize that, because of the encroachment of non-agricultural development, their land had become more desirable for suburban development purposes; hence the conversion of farmland to large scale suburban development began. Suburban development significantly increased during the 1980s and 1990s and today, Forks Township is considered a desirable place to both live and work.